The BF225 is part of a family of V6 engines designed to deliver outstanding power with minimal consumption. Enjoy the performance. 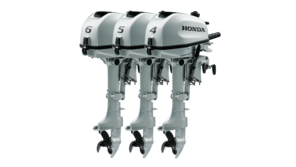 Total torque and top-end speed are yours with these large displacement engines; they give you the power and performance you need for your boat. Now there’s no need to hold back. The BF225 comes with our V6 engine coupled with Honda VTEC technology (Variable Valve Timing and Lift electronic Control), providing superb performance and fully optimized power delivery throughout the rev range. Honda BLAST™ hole shot technology with PGM-Fi electronic fuel injection delivers instant acceleration to get you up on to the plane as quickly as possible. It does this by using improved accurate ignition timing, which develops more torque at low rpm so you can rapidly reach cruising speed. The engine is NMEA2000® compliant, which makes it compatible with all other compliant electronic devices – like navigation and fishfinder systems. Engine data like rpm, temperature and fuel consumption can be displayed through multi-functional gauges. Our unique lean-burn control ECOmo system adjusts the fuel to air ratio depending on load and speed to improve your fuel consumption when cruising. When your boat is up on the plane and cruising you’ll be saving up to 20% of your fuel by making the mixture leaner – saving you money. A four layer coating process that protects against UV rays and salt water. It provides the best resistance to the harsh conditions found at sea. 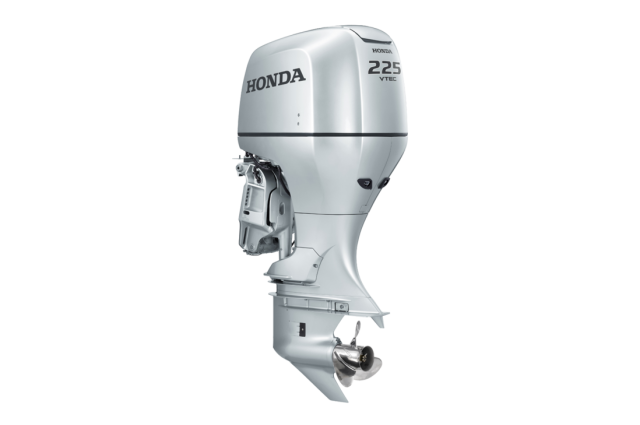 We’ve brought Honda technology and innovation to our top-flight marine engines, and the result is outstanding performance and superb fuel economy. But to you out on the water, it’s just big, fast fun. These engines pack in many exclusive technologies that make them right at home with recreational, sport and commercial use. They’re NMEA2000® compliant and with Honda’s celebrated reputation for long-term reliability, they’re just what you need behind you when you take off into the blue. 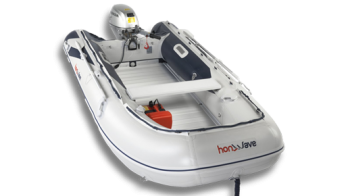 You’ll ride wave after wave of fun with these incredibly compact V6, 3.5 litre engines. High performance is built in, with innovations like VTEC™ – originally developed for Formula One race cars, BLAST™, ECOmo and an array of safety and engine protection features for extra peace of mind. They develop strong, smooth power with good torque delivery from low revs, right through the rev range. Sleek, aerodynamic styling combines nicely with a superior hydrodynamic designed gear case – which gives you better underwater performance at high speed. All wrapped up in bright silver bodywork, these engines not only look fantastic reflecting sunlight off the water, they also look great out of the water too, just hanging off the back of your boat. BF 225 LU With VTEC™, a 508mm shaft, 60A battery charge and power trim and tilt. BF 225 XU With VTEC™, a 635mm shaft, 60A battery charge and power trim and tilt. BF 225 XXU With VTEC™, a 762mm shaft, 60A battery charge and power trim and tilt. BF 225 XCU With VTEC™, a 635mm shaft, 60A battery charge, counter rotating rotors and power trim and tilt. BF 225 XXCU With VTEC™, a 762mm shaft, 60A battery, counter rotating rotors and power trim and tilt. If you’re looking to purchase any of these products your local dealer would love to hear from you. Visit our dealer locator below to find your closest dealership.